Two days before I flew to India, I had a wisdom tooth removed in New York City. That emergency dental procedure was obviously unanticipated during the time, months earlier, when I was making the travel arrangements for my 2 1/2 week trip to India and Sri Lanka. When I arrived at Indira Gandhi International Airport in the Indian capital of New Delhi, I was still suffering intermittent mouth pain (and the soreness would continue to crop up periodically for the rest of the trip). Because I was recovering from oral surgery, and because there are certain precautions that any traveller to India is advised to take, I was carrying a small pharmacy around in my daypack: painkillers; an antibiotic to protect against the risk of infection; anti-malaria pills that my travel doctor had prescribed for me; and Cipro, another antibiotic that I would take if I were to contract the intestinal ailment that’s affectionately known as “Delhi Belly.” (Spoiler alert: I did indeed succumb to Delhi Belly before the trip was over.) But the presence of an open wound in my mouth didn’t prevent me from singing karaoke at my earliest opportunity after landing in a new country! Additionally, one of my trademarks when travelling is to seek out quirky museums; and I found a suitably offbeat one in Delhi. My Indian karaoke debut took place at a joint called Harry’s Karaoke Lounge Bar. Harry’s is on an upper level of a sprawling shopping mall, and while the rest of the mall was deserted on a Sunday night, Harry’s was hopping. 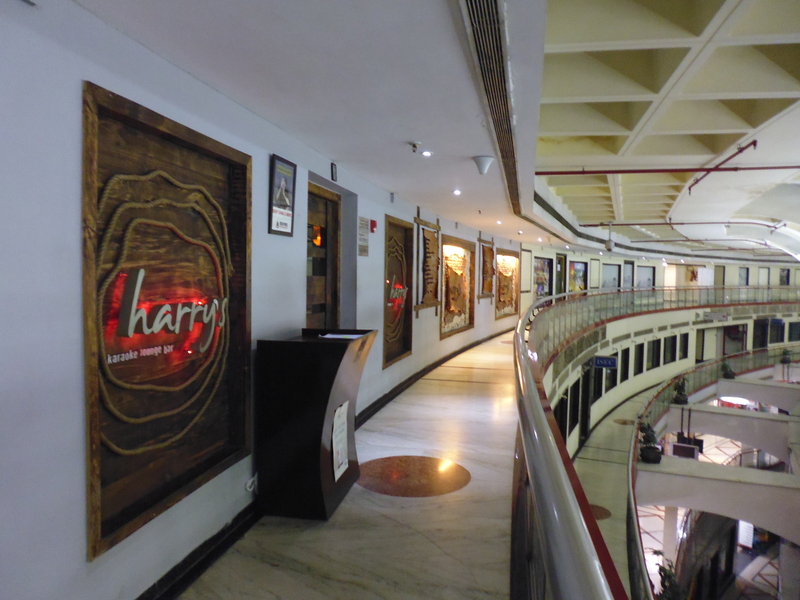 The entrance to Harry’s Karaoke Lounge Bar, in a random shopping mall in New Delhi. For my first song on Indian soil, I chose Billy Joel’s “New York State of Mind.” Now ordinarily, for such a momentous occasion, I would post a video for posterity. But I can’t do that in this case. Harry’s wasn’t well-lit, and as a result the footage of my performance came out with poor visual quality. (The singing area in Harry’s hadn’t seemed unduly dark; I didn’t realize how weak the lighting conditions in Harry’s had been until I tried watching the video on my laptop in my hotel room the next day.) I’ve therefore uploaded the recording as an audio file only. And now, I invite you to listen to me singing a Billy Joel song in New Delhi. Regrettably, due to the lack of accompanying video, you can’t watch me unleash my signature leg kick at the conclusion of the song. 🙂 But you can still get a sense of the energy that was in the air at Harry’s. The bar was packed by the time I was called up to sing, and as you can hear, the crowd was effusive in its support. That night in New Delhi takes its place among my most satisfying and enjoyable karaoke experiences of all time — right up there with my nights in Panama City, Paris, Frankfurt, and Kiev. By virtue of this performance, on March 23, 2014, India became the 33rd country on my World Karaoke Tour. (Subsequently, the total number of countries has increased to 35.) While I’m disappointed that I have no serviceable video to preserve the memories of my night at Harry’s, I did learn from the technical difficulties. After returning to New York City, at the suggestion of fellow travel vlogger FreshTraveler, I purchased a spotlight that attaches to my camera. Now I’m able to ensure that my videos receive adequate lighting regardless of the level of illumination at the venue. The spotlight has become an essential part of the gear that I travel with, at least for trips that I expect to include karaoke. Several hours before karaokeing at Harry’s, I paid a visit to the Sulabh International Museum of Toilets. (Sulabh International, which runs the museum, is a nonprofit organization that promotes, among other things, hygienic sanitation practices.) This cultural institution provides a fascinating and lighthearted overview of the history of devices for the disposal of human waste. Inside the Sulabh International Museum of Toilets in New Delhi. 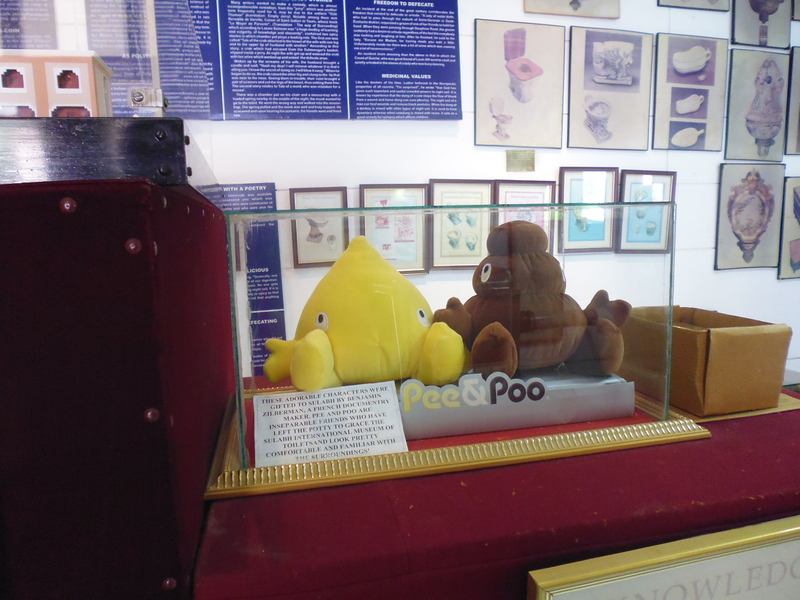 The unofficial mascots of the museum are Pee & Poo. The less said about these guys, the better. Although not a large facility, the museum consists of both indoor and outdoor displays; the open air portion reflects that outhouses, privies, and the like play a significant role in the story that the museum tells. 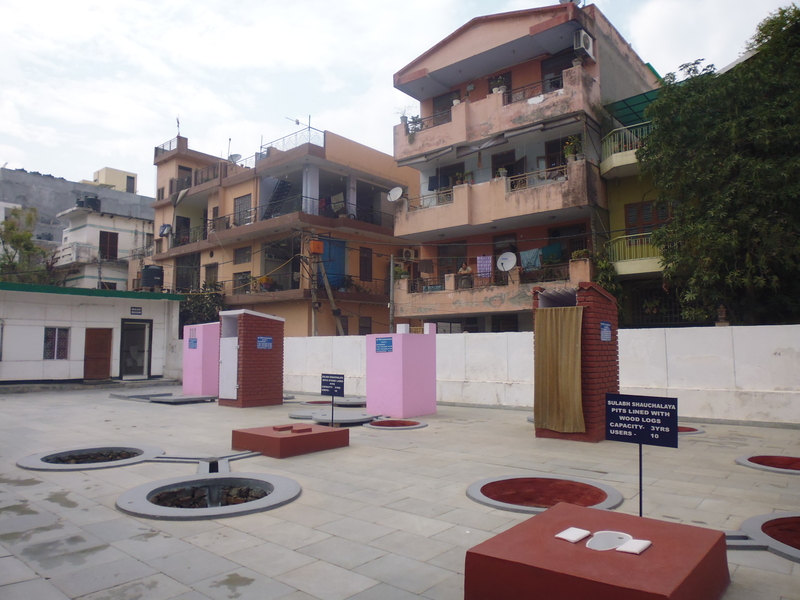 The outside portion of the Sulabh International Museum of Toilets. As my journey continued and I hopscotched among various dots on the map, I would encounter an array of wonders including temples, palaces, and a mausoleum that you may have heard of. 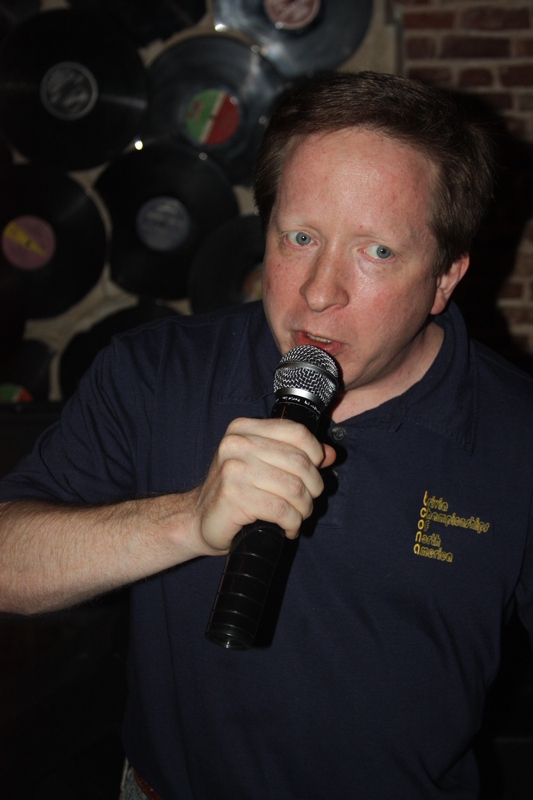 But priorities, people; what’s most important is that I can say I sang karaoke in India! 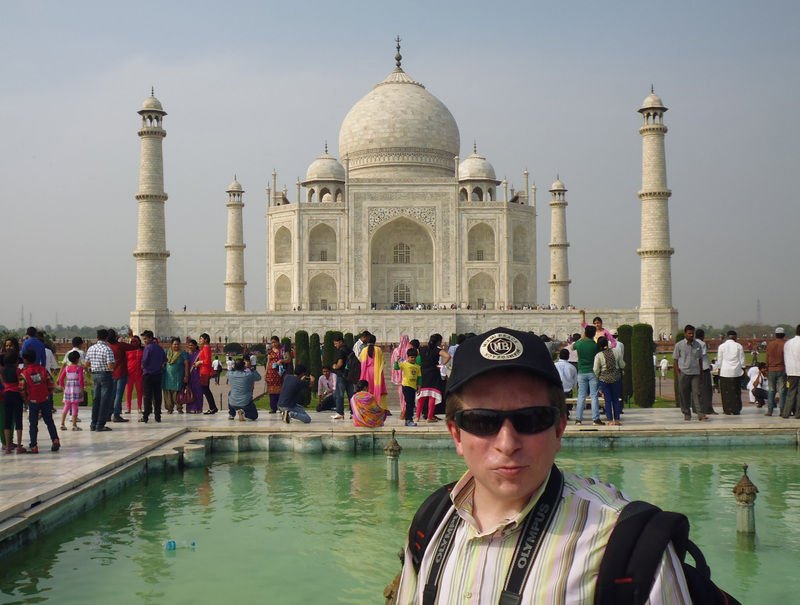 Me at a famous mausoleum in Agra, about 130 miles from New Delhi. Just discovered your website. Such a cool and unique twist on a travel blog! Not a Karaoke singer myself, but love your performance! Great energy! @Espen: Thank you. Singing definitely adds another dimension to my travels. And I always try to be upbeat and energetic when I’m performing. India was my most inspirational trip ever! I long to return there. Hope it marvels you too! @itsybitsyplanet: I’m glad you like this blog! India was awesome. In spite of the dental treatment you had prior to your travels looks like you had a good time in India. Looks like a great trip! I have never been to India but it’s high on my list. Great performance! Also thank you for sharing the picture of Pee & Poo. My three and five year olds think they’re hilarious and can’t imagine a better basis for a museum. What a fun travel goal! I’m not a huge Karoake person but now that I’m in Taiwan for the next 2 months I may need to start practicing haha. India looks like it’d be super fun ! @Samantha: I think karaoke is pretty big in Taiwan. In fact, I was once interviewed by a Taiwanese TV station about my World Karaoke Tour. India was fun and interesting — although also sobering and eye-opening at times. This post only covers a small portion of my experience there. Haha this is a great post, I love your ambition of the “World Karaoke Tour”! 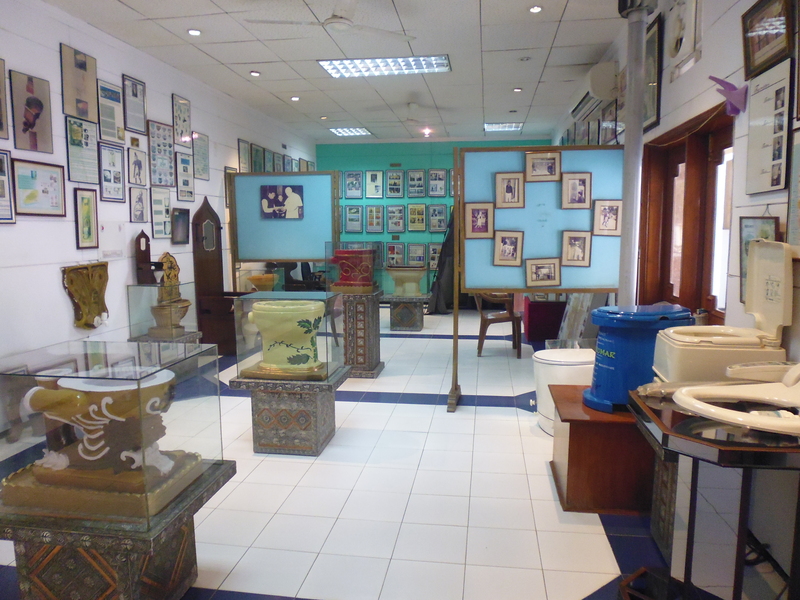 I also never thought I would ever say this but I kinda want to visit the toilet museum now. What have you got planned for country number 36? @Chris: Country no. 36 will be Italy (via Rome) in late November. Regarding the museum: It’s good to know more about the history of something you use every day! I was very amuzed reading this post, though i am not very into karaoke! The museum looks fun and interesting. if I ever go to Dehli I will visit it, so thanks for sharing it. Good luck on your karaoke tour. By the way, the museum is not very large — so if you go, don’t expect to spend very much time there. Oral surgery right before travel can be a setback.. but it looks like you still make the most of your trip! Cool post! @Marissa: The timing of the oral surgery wasn’t optimal, that’s for sure, but it was still a great trip! H-Bomb, I lived in Delhi for 7 years and have been to Harry’s! Your blog is so fun and I really love your travel agenda–karaoke-ing your way around the world which sure as hell needs good music and spirited people. 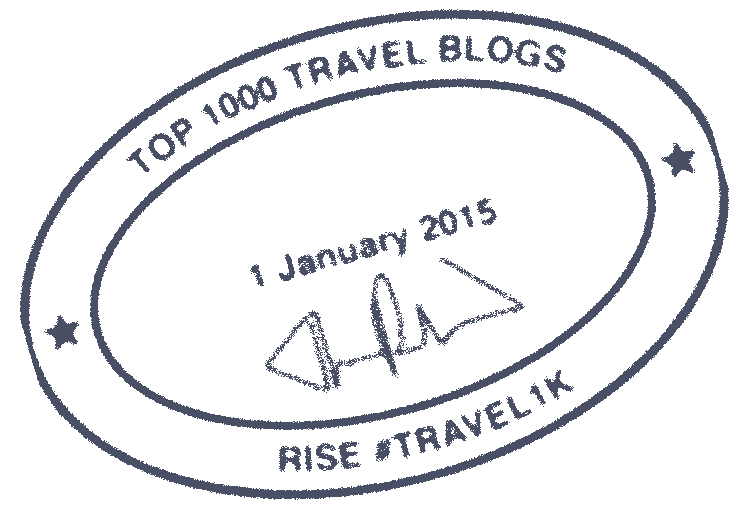 And look at that, you and I use the same WordPress theme for our blogs! @Paper Boats: That’s so cool that you’ve been to Harry’s! I had a really good time there. And thanks for your kind words about my blog and my mission! I hear you, and I opted for this theme precisely for it’s kind of vintage feel, though I was always unsure about how to deal with the limitations. Not being a geek doesn’t help with the option of self-hosting either, and I’ve sworn all my money to travels as well. Perhaps a little idealistically, but I still cling to the belief that ultimately it’s the content and the thoughts that matter. I just returned from the dentist today, and I can’t imagine having dental surgery before a trip. Especially, having a tooth pulled. At least you were prepared with all your meds. I’ve never been to India, but would love to go one day. Nice vocals on the “New York State of Mind” song. I hope you make it to India — it’s a worthy destination for your wish list! And I’m glad you liked the song. @Surya: It’s so cool that as a result of this post, I’m meeting other people who have been to karaoke at Harry’s! The mall that it was in definitely looked desolate. I was actually a little nervous waiting in the deserted parking lot for my driver to pick me up.